It's a bbg7 x PDN F1. I crossed two different bbg7s with PDN. Jedisushi has the F1 from one bbg7 & I have the F1 from the other bbg7. The bbg7s have different calyxes, one thicker than the other, but both bleed. Here are the first F2s. 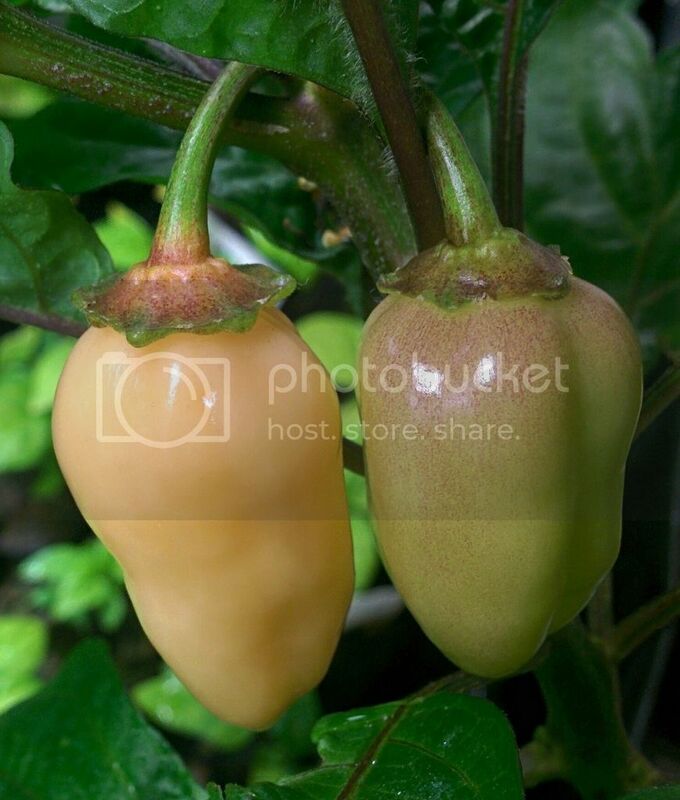 they both look great and PDN are one of my fav peppers! Great selection for a cross and certainly not a disappointment! Plant two has got the bleeding caps. Edited by jedisushi06, 27 September 2015 - 01:14 PM. I thought I would update this with some of the F2 pods. I started every seed out of the first pod, 68 seeds I think. Ended up with 66 plants. Culled off all the green stemmed plants (which I wish I wouldn't have done after seeing what these have produced), which left me with 37 purple plants. I had one more come up after the culling that is green, so kept him. So far, I have ten plants without bbg7 calyxes, and 17 that do, with ten still not showing. Here are a few pods I am getting. 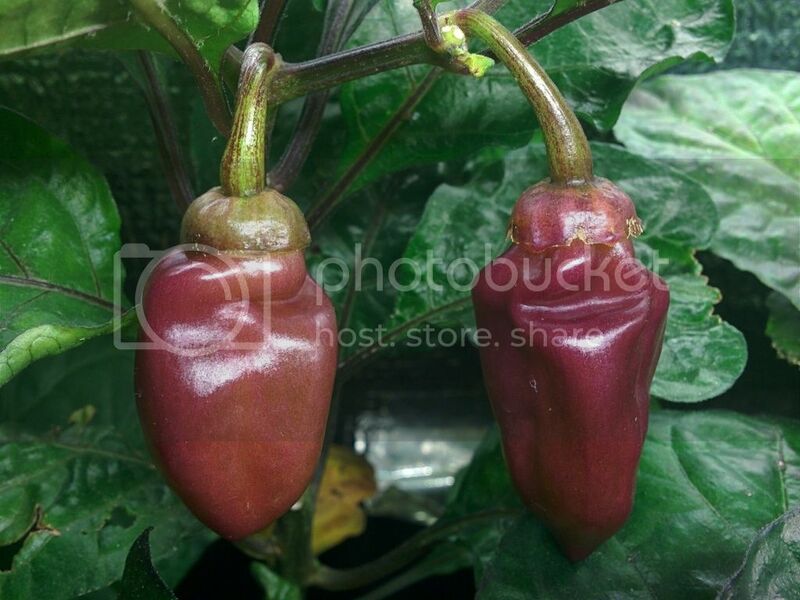 This is one of the more PDN non bbg7 plants. And a few pods with bbg7 calyxes. This is an unripe color. This one might be my favorite at the moment. It's a very light peach color, almost white. The peach pod, two up . Ok, I've been outta the game for a few years, is there a reason for the crosses with PDN other than the purple leaves, stems ect? Just curious. This is the second PDN cross I've read about with a superhot. That is pretty much the reason. 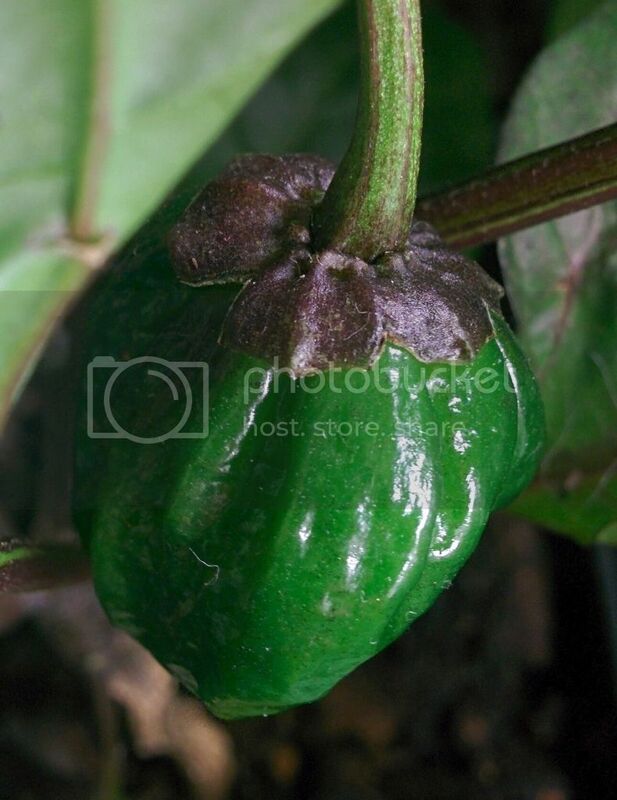 The PDNs are rare in the fact that they remain purple in unripe and ripe stage. This is an interesting trait. I actually believe they ripen to white, but keep the purple color from the abundance of anthocyanin they produce. They appear clear/white on the inside when ripe. I thought crossing it with the bbg7, with its own unique trait, made sense. I have seen other crosses using the same parents, so not the only one that thought that. They look really cool, how do they taste? Great pics and thanks for sharing them. I have only picked the peach one cut open. 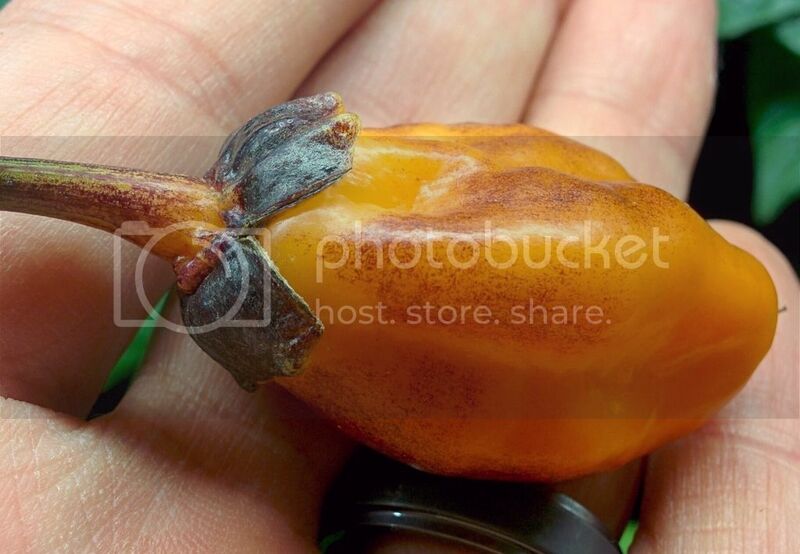 It tasted much like other peach pods i have grown, citrus/fruity, but had a very strong chinense flavor. Smell was overpowering chinense with slight fruitiness too. Heat was mid to upper hab level. More of a stinging burn than a warmth/heat burn. I don't mind the Chinense flavor, so was quite good to have with the meal I ate with it. And was nice to have a fresh pod, was the first ripe one of the year. Just the saved seeds, wrapped in a paper napkin, were overpowering in smell. I have another plant, making almost the exact pods, starting to ripen to a slightly lighter peach. Almost identical though. Edited by GA Growhead, 05 April 2016 - 06:20 PM. i like the peach one. Cool looking pods. I've got a few of this cross going that I bought from Ford. Curious to see how they turn out. Going to be trying to make a few crosses this year myself with dark leaved/pod plants. Not PDN. Seem to be plenty of different crosses using it so going to go with some other dark types. Great job on your crossing project. Very very cool plants.. I love crossing PDN's into varieties.. I have several from this season ready to grow out next season... Good luck with the outcomes. It also has to do with the fact that as PDN's are a chinense you tend to hold on to flavour, plant and heat profiles in crosses with other chinenses better.. PDN's also taste great in their own right so a great to cross. 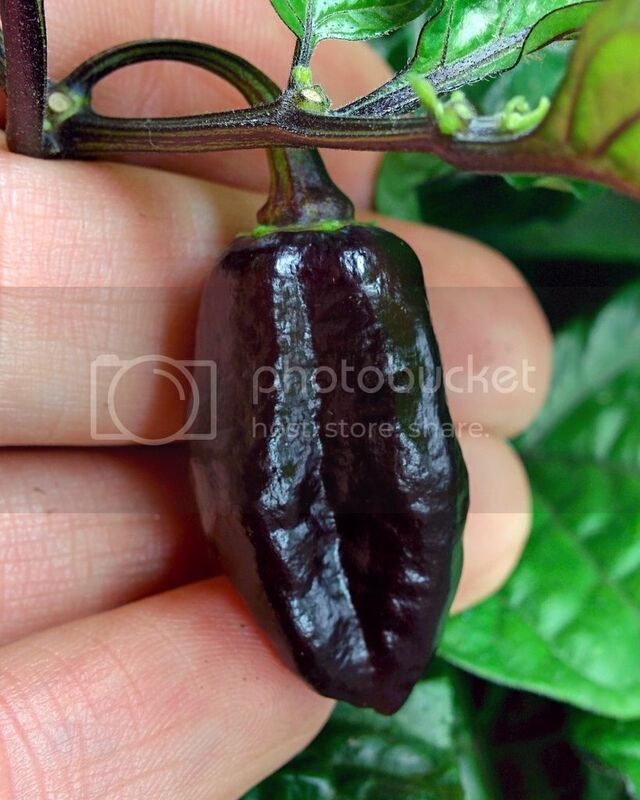 Having a rich purple pod on the external outer layer and internal outer layer can make for some great pod colourings. 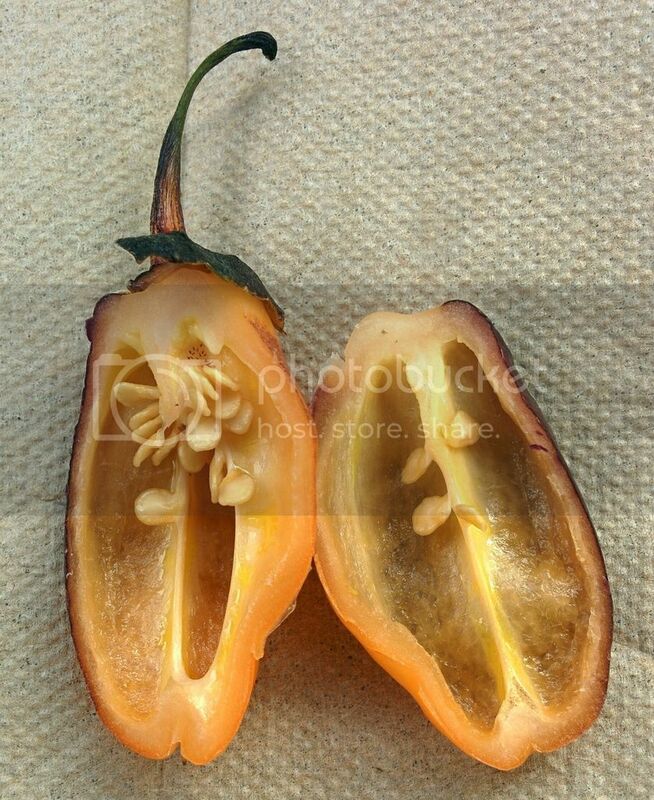 the internal layer could go bright red / cream / yellow and the external crack up but not fade out completely and remain until ripe and make a tiger pepper effect.. etc.
" 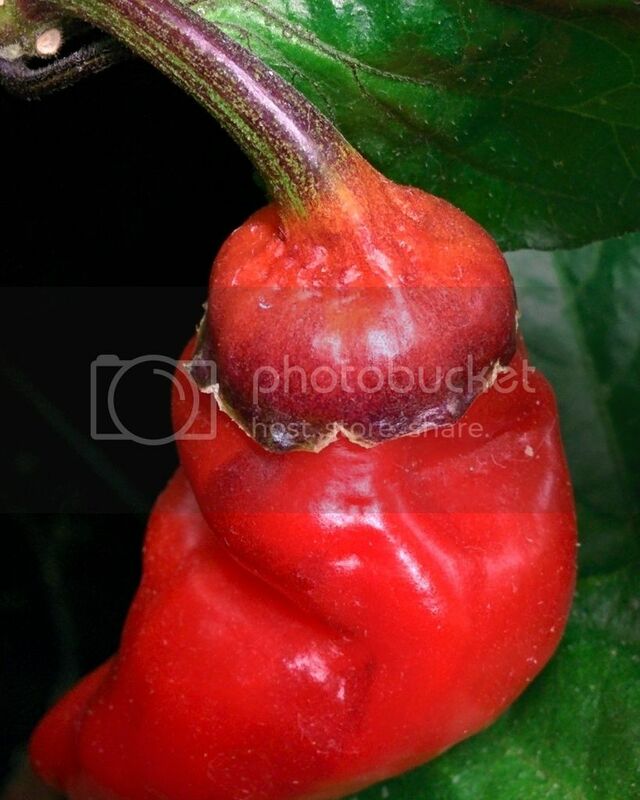 TKP Peppers make me go Super Saiyan "
Nice pods and nice pics!!! I have two plants making the peach pods. Going to cross the two, for a peach F3. Love the dark caylx against the peach. Would love to see what you get from Ford's. Wondering if there will be similar plants. I used my original F4 bbg7 that I still have, hoping to get expressions weeded out from further generation of the bbg7. It is very bbg7 dominant, passing the calyx, in all the crosses I have made with it. Going to keep her going as long as I can. The breeding projects have been super fun. So cool to see the F2s. Definitely something you need to do to see for yourself! I have 170 F3s of another cross for this season. Can't wait to see what they produce. Wondering how much variation I will see from the F2s. Look forward to seeing what you cross. Will have to keep me updated. Thanks! That's some cool info. The PDN crosses I have made, have all used PDN pollen. The purple has been dominant in all the F1s. Hopefully I can find the picts of your crosses, if you post them here. Would love to check them out. Sounds like this is going to be a fun year with crosses. Looking forward to watching your progress on these plants. Pics look great too!!! Cool looking pods. I've got a few of this cross going that I bought from Ford. Curious to see how they turn out. Going to be trying to make a few crosses this year myself with dark leaved/pod plants. This! Looks like a few of us are playing around with purple plants. I too am growing this cross from Ford. His website lists them as F2. 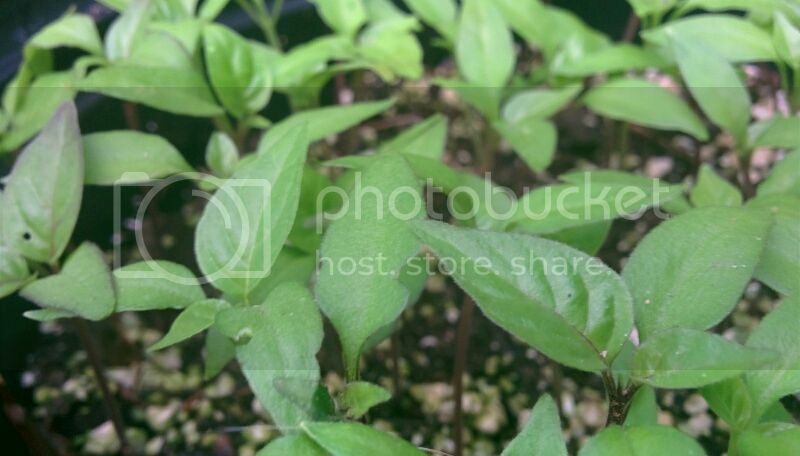 I have 3 seedlings, 2 are green with no purple in the leaves, 1 is so dark the leaves and stems look black. I will be interesting to see what kind of pods they throw. My favorite purple plant from last year was Dulac's awesome cross, 7JPN x TS Moruga (F2). 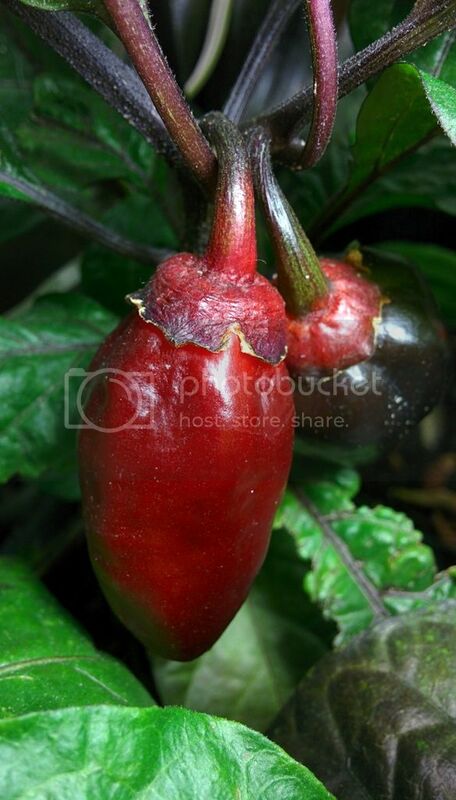 The plant had dark purple leaves with purple moruga shaped pods that ripened to red. I over wintered that plant and am growing some F3's, which so far have retained the dark purple leaves. 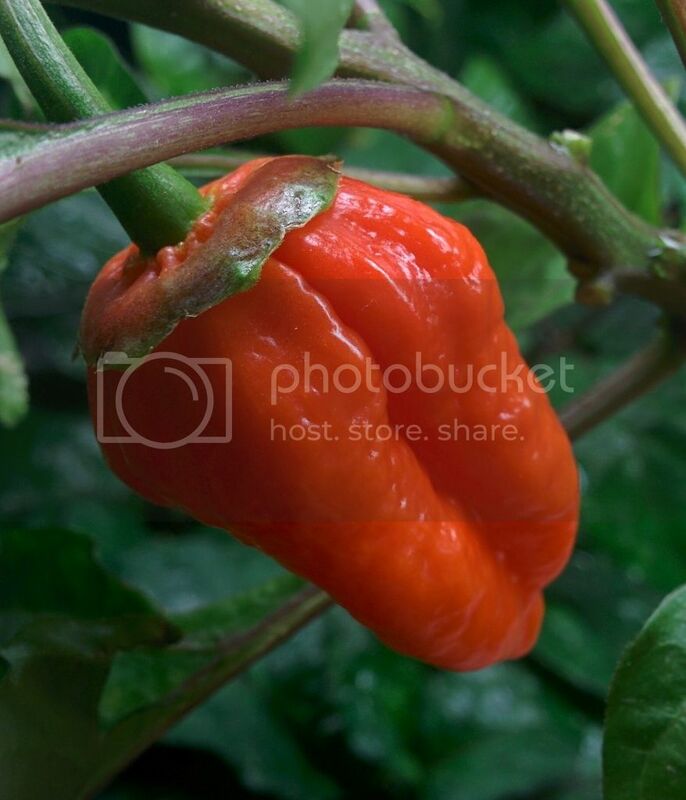 I'm also growing PCFR (F6) from Puckerbutt (Pimenta Chris Fat Red) which is a bhut x PDN cross. Again, one seedling has very dark purple leaves, one has light purple/green leaves, and a couple have green leaves with no purple... so even at F6 there is quite a variation of the purple in the leaves. BG7xPDN crossed with 7JPNxTSM might have some possibilities since both crosses have PDN and moruga in them.